Samsung Electronics America Inc. has out doored it’s latest portable PC. 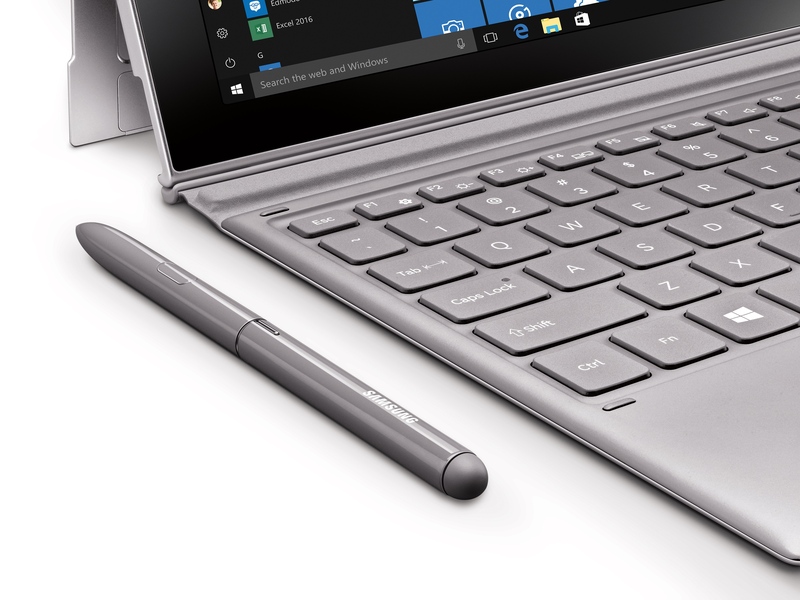 The Galaxy Book2 designed to deliver productivity and mobility to the user. Samsung says in a world that doesn’t slow down it should give you the power to stay ahead. Touted to give a whooping 20 hours batter life. Its inspired by the Microsoft Surface Pro devices as this is what Microsoft has been pushing its partners to do. I like the idea the keyboard and pen are bundled and sold with the device. So lets take a look at what it offers. It comes installed with Windows 10S and is powered by Qualcomm Snapdragon 850. Has 12″ display, LTE support, 4GB RAM and 128GB storage, two USB type C ports, S Pen and Keyboard. 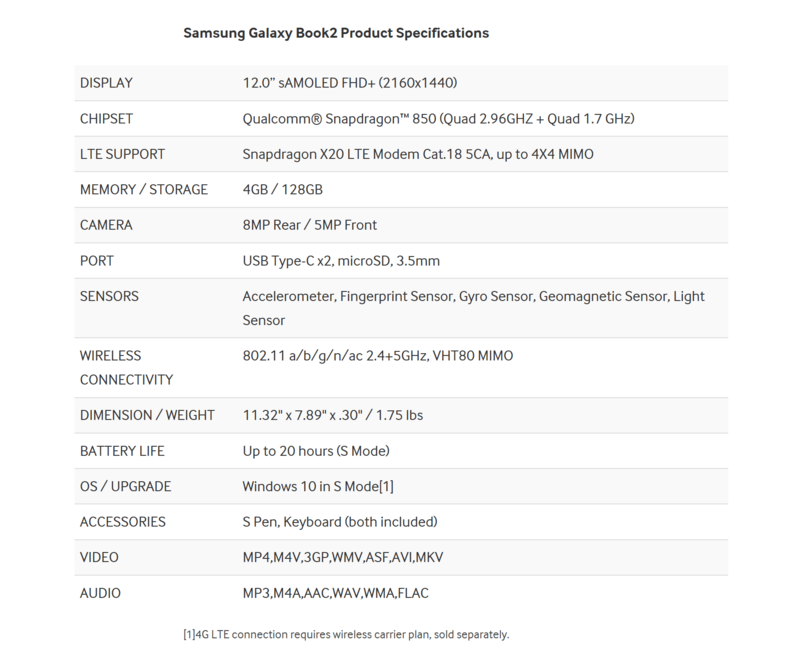 Check out the full Galaxy Book2 specifications below. Some impressive takes on the device; the keyboard is backlit and included pressure responsive S Pen doesn’t need to be charged. I will like to get a hand on this and take it for a test. Downside, it doesn’t talk about expandable storage nor do i know if there will be other higher specifications to select from. What do you think about the Book2? Have you used the Book1 and can you tell us how your usage was like? Share your thoughts in the comments.